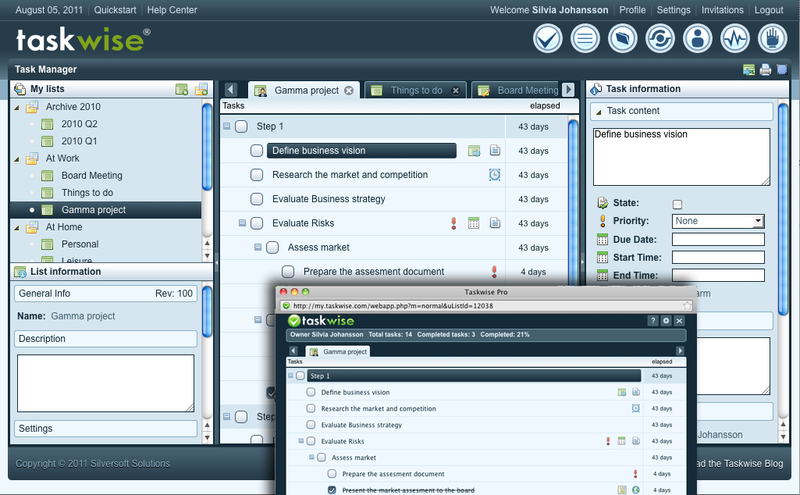 Get more with Taskwise, the Work Management solution for large teams and workforces. Taskwise comes with a powerful assignment engine so you can easily assign tasks to other people or members of your team, share lists with groups of users and monitor their progress. Taskwise Pro allows managers to create groups & teams to conduct business effectively & efficiently, with the kind of oversight & integration needed to get the job done right. 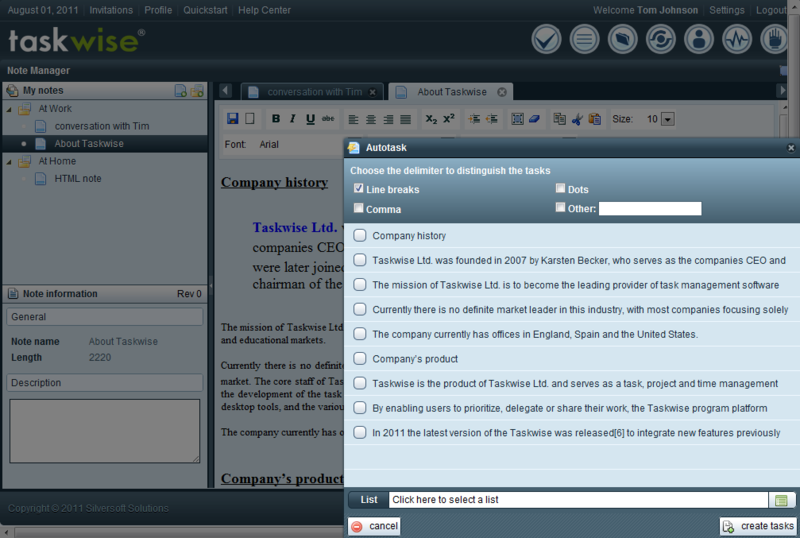 Taskwise Pro lets you see what has been completed, when and by whom. 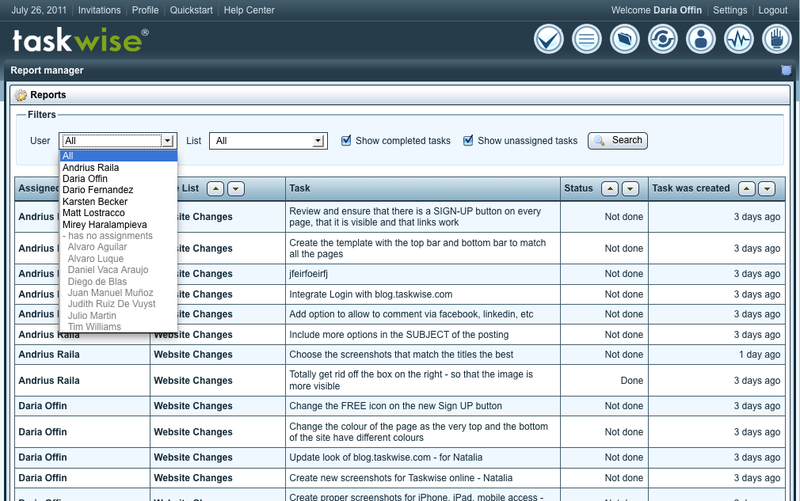 Monitor your team�s progress using standard reports or our powerful Social Feed for task-by-task activity tracking. 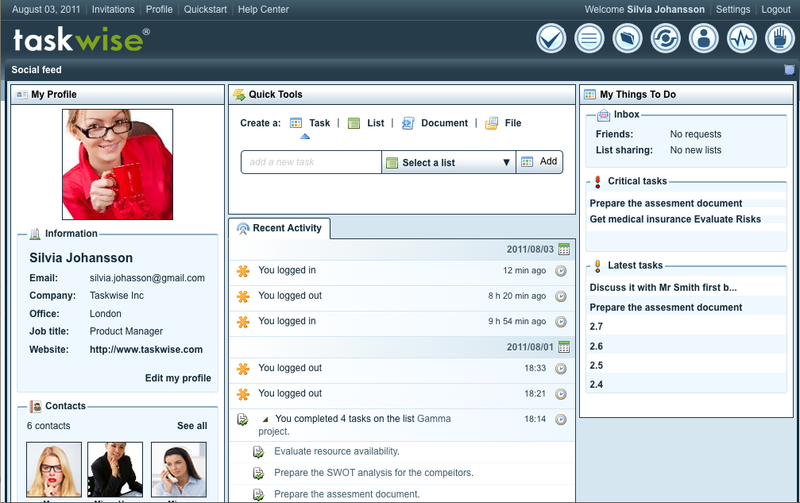 Go beyond tasks with Taskwise Pro! Store and organize your notes, ideas and plans in our note manager or use our AutoTask function to automatically create actionable lists. 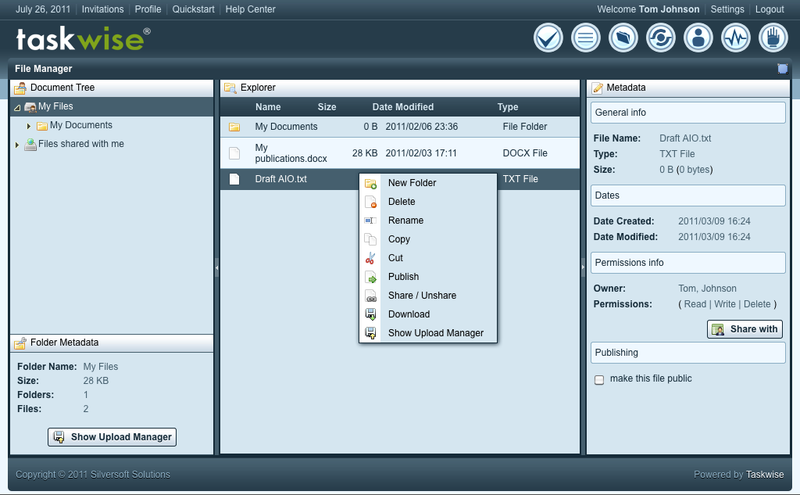 Our online file manager lets you store, organize and manage your files and attach them to your tasks. With 10GB of storage per user you can make sure everyone has the information they need. 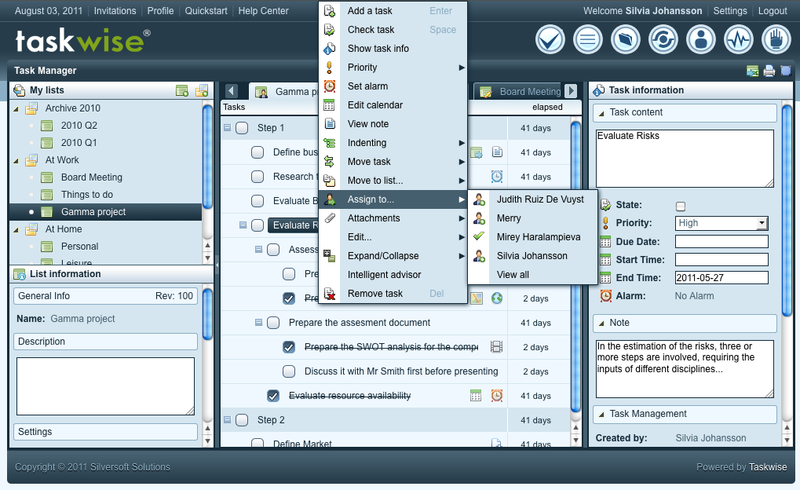 Taskwise Pro features an advanced user interface to give you more power and control with side working bars to manage your tasks, notes and attachments. The lists are now visible in the list tabs and you can open any list in a separate window.